The No-Lease Lease Copier Rental Program now available in Dundalk, Maryland. Introducing the terrificNo-Lease Lease copier rental program. Get everything you would get from a lease but with no commitment! 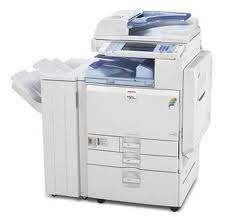 As the owner of a business that depends heavily on making copies of its forms and documents, choosing whether to rent versus lease a copier machine may be your only option considering the high cost of purchasing a copier. While the terms for renting or leasing copier machines can vary widely from company to company, consider the following before making your decision to rent versus lease.